Here are our talking points from West Ham’s shock 2-0 defeat at home against Everton over the weekend, described by Hammers boss Manuel Pellegrini as the club’s “worst performance of the season”. The warning signs were already there: West Ham’s performances over strugglers Cardiff and Huddersfield earlier this month were very ordinary too. The warning signs were there, but the fact that the loss against the Bluebirds was away from home (and West Ham tend to be inconsistent on the road), and the late comeback over the Terriers papered over the cracks. However this was a big jolt- a loss at home and to Everton, who like West Ham, have been up and down away from Goodison Park this season. None of the pre-match predictions from the pundits had predicted an Everton win despite them coming into this clash on the back of a victory over Maurizio Sarri’s Chelsea. Set piece defending continues to be poor: Huddersfield’s first goal in the previous game week came from a corner. Everton’s first one here came from a near identical set piece- Kurt Zouma scored, with neither Diop nor Zabaleta covering themselves in glory. 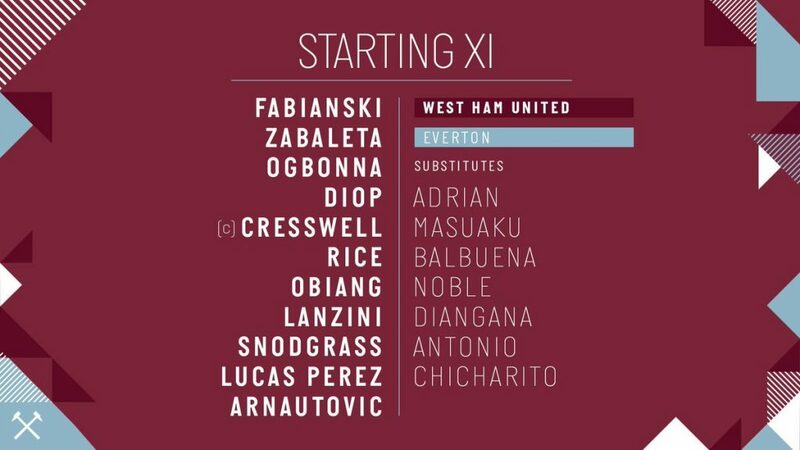 Does the 4-4-2 work for West Ham? 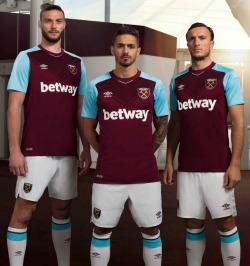 : Pellegrini chose to start with the pair of Marko Arnautovic and Lucas Perez upfront, with Javier Hernandez, the hero of the 4-3 win over Cardiff, on the bench. Perez, apart from the brace he netted against Cardiff, has done virtually nothing in his spell here, and was literally anonymous before being hooked off. Arnautovic was a little better, but way off the heights we know he can reach. Most of West Ham’s success this season has been with a 4-2-3-1 or the 4-1-4-1. Two strikers upfront seems to leave the midfield overrun, with the opposition finding gaps at will through the centre of the park. Is age catching up with Pablo Zabaleta? : The Argentine was one of West Ham’s best players in the first half of the season, but looked a pale shadow of himself on Saturday. Was guilty for both goals, especially the second when he was ball watching and allowed Bernard a free run. Which brings us to the question- do the players actually want to finish 7th?